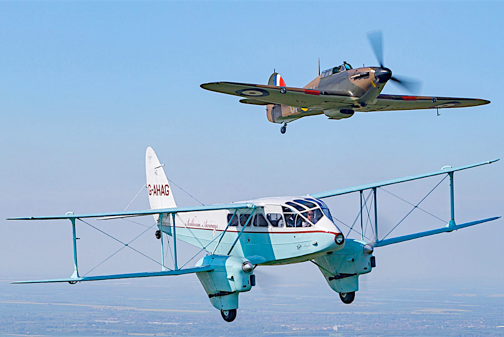 For a limited trial basis this year we have teamed up with the Shuttleworth Collection & Hurricane Heritage to offer something completely unique. Please show your support for all three organisations, all of whom exist only for the preservation of the aircraft, by booking one of the very limited places on this amazing experience! Nowhere else will you get to see a Hurricane, Gladiator, Lysander, Mew Gull or DH88 Comet from the air!